 Dental care services are available to the public at the new Dental Education Clinic on the fourth floor of Seattle Central College’s Health Education Center in the historic Pacific Tower. The Dental Education Clinic operates under a dual education and service model, the first of its kind in the nation. Through a groundbreaking partnership with Delta Dental and Neighborcare Health, the Dental Education Clinic offers preventive and restorative dental services performed by a licensed dentist with the support of Dental Hygiene and Dental Assistant students. The clinic is fully accredited by the American Dental Association (ADA), and offers pricing models to serve low-income patients. Learn more about Neighborcare Health at Pacific Tower.